As shown in the given Denver location map that Denver is located in the Central part of the United States and northern region of state Colorado. 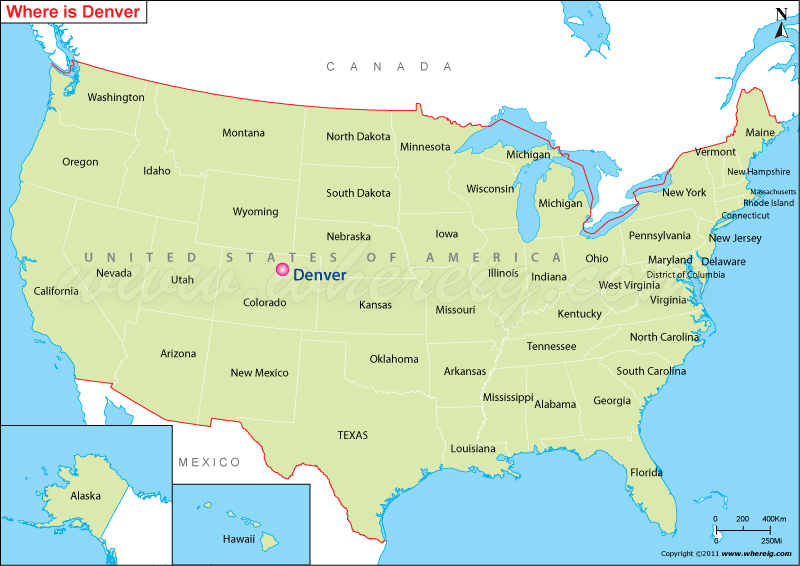 Denver is the capital and most populous city of the state Colorado situated in the South Platte River Valley on the western edge of the High Plains just east of the Front Range of the Rocky Mountains. Interestingly, the nickname of Denver is the "Mile-High City" because of its elevation i.e. precisely one mile (1.6 km) above sea level. At the time of its foundation, it was little more than a dusty collection of buildings on a long, grassy plain with a few contorted cottonwood and willow trees on riverbanks; but in the passage of time, it is one of the developed cities of the United States. The high-tech infrastructure and high rising building, national parks and mountainous landscapes also fascinate tourists.